DILLIAN WHYTE is now the frontrunner to face Anthony Joshua in April, according to Matchroom promoter Eddie Hearn. The 30-year-old beat Dereck Chisora for the second time last weekend, stopping his counterpart in the 11th round. Whyte then called out Joshua in the ring after the bout, demanding a rematch between the pair next year. But the heavyweight champion seemed less than keen, insisting Deontay Wilder was still the front-runner for April’s showdown. However, Hearn has now offered Whyte hope, claiming the recent victor could well be at the front of the queue due to continued disinterest from Wilder’s camp. 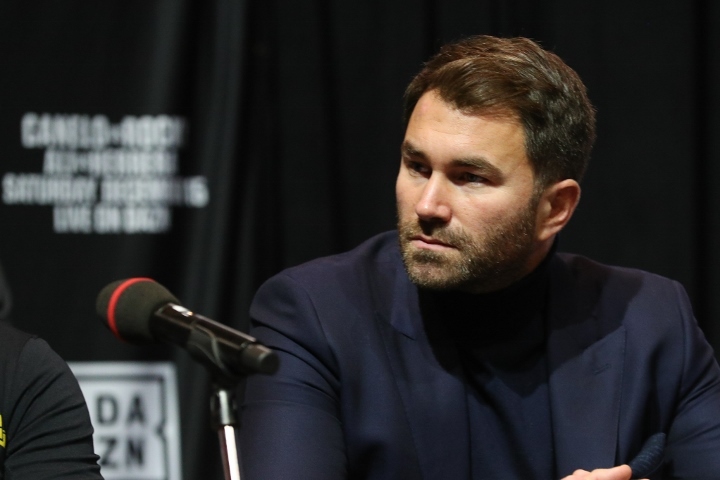 “As it stands today, I would probably say that judging by the response from Wilder’s team, Dillian Whyte is probably the front-runner,” he told IFL TV. “We got to do a deal, and it’s not going to be easy. Dillian wants certain things, and Joshua wants certain things. But Hearn admits his side still want to make a fight with Wilder happen if possible. “Our priorities have not changed to make the Deontay Wilder fight,” he added. “But maybe they can’t do a deal with Fury in the rematch. “If you look at the polls. I saw a poll the other day. It said, ‘who do you see as the best heavyweight in the world?’ It was 44 percent Joshua, 40 percent Tyson Fury, and 6 percent Deontay Wilder. “Although his [Wilder] profile has risen out of the Tyson Fury fight, if you’re Tyson Fury now, what deal do you accept to fight Deontay Wilder? “He [Fury] feels like he won the first fight. He should have won the first fight. Then you think, should we just make Joshua against Fury?